"My own experience of today’s gospel has been challenging to say the least. My journey of faith as a chaplain as placed me in conflict with “head office” as it were - many times. And my advocacy for the equality of LGBTQ people within our community of faith has placed me in conflict with many of my ordained peers who believe I am simply wrong and am living contrary to God’s will. The number of times I have experienced a “virtual exile” from the broader community of faith are too many to mention. The most painful being when friendships and relationships have collapsed under the weight of conflicting views as to what God’s will should be." 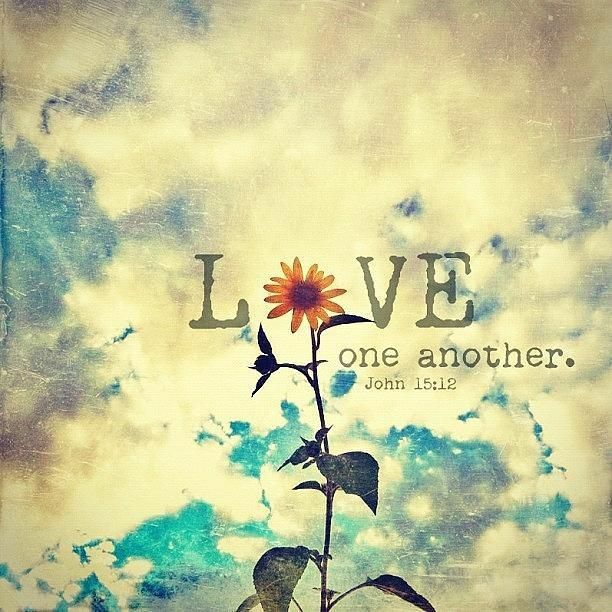 You may recall my reflections from last week regarding Paul’s how to’s of loving one another. Paul set the bar rather high suggesting that our fundamental witness of being a disciple of Christ, and of living together in communities of faith is to live with humility, and be of generous love one for all regardless of character or status. Today’s gospel however, calls us back, grounds us in the reality of what living in community is all about. Paul may have been striving for the ideal last week, Jesus today is giving us the how-to manual for settling disputes and conflict. Because, as one commentary noted about today’s gospel lesson – “churches are full of troublesome people”. Present company excluded of course. Last Sunday I referred to Paul’s letter to the Romans as one of the most eloquent reflections we have regarding what it means to be a community of faith. Elizabeth Shively, who I referenced last week suggested that the appeal of the early Christian church – to 1st, 2nd and 3rd century Jews and Gentiles may have been its radical departure from the observance of religious law of its day to a new way of living together within communities which “pooled” the collective skills, talents and insights of its members. In a sense – she suggests the shift in thinking was that which moved from the somewhat overbearing observance of religious law and social custom – to the calling of giving of oneself over to the needs of the community. If this be the case – one does not need to imagine very hard to understand how easy it would be for conflict, dissent and disquiet to arise within such a community of faith. My experience teaches me that one of the most common minefields of being part of a community of faith – is being a person of faith. Our faith tradition is build upon, dependent upon the premise that each of us has a personal relationship with God and Christ and that our personal experience of this individual relationship with the divine shapes how we live and express what we believe. We also understand that how each of us experiences God will be different because as we know each of us is unique – and so if we all experience God differently then it is inevitable that quarrel’s of how to be a community of faith will arise. I think this is why so much of our New Testament is written in the form of correspondence between communities and the disciples – as the differences of opinion as to what an appropriate and shared witness of faith is worked out. As the church grew, Elizabeth Shively suggests the church decided to leave behind the ideals of Paul’s teaching. As the church grew in power and influence, such teaching was set aside in favour of a more prescribed order of structure and authority. Our community of faith moved away from a collective identity, towards a community of recognized role and function. In many ways – we developed our own Christian version of the observance of religious law and social custom the early Jewish Christians struggled so hard to leave behind. Because you see – it is simply so much easier to create a structure of belief and practise than maintain a culture which encourages individual expression. It is easier to regulate diversity than nurture diversity. Easier to require people to “fit in” rather than adapt a community endlessly to accommodate the highly individual expressions of members. And so – over the centuries - the laity became the passive participant while clergy and other church officials did the work deemed necessary to maintain the position and influence of the church within society. The radicalism of the early church and its celebration of individual relationships with the Divine was replaced with a theology which argued for the status quo. Which might explain why it seems so difficult for the church to embrace new ways of seeing and experiencing God. Why any innovation or change for that matter seemed so enthusiastically resisted. Within such sweeping generalizations as these, one can despair greatly for the health and well-being of any community of faith – whether it be a parish, Diocese or global family of God. How are we to resolve conflict? How are we to engage and counter those behaviours which can so easily derail and disrupt the harmony and good intentions of people who choose to live together in faith? Jesus provides us with a way forward – and for sure the path he suggests is as challenging for us as Paul’s challenge that we truly love one another as we love ourselves. Conflict within a community of faith can be catastrophic. We need simply to look at our global history to understand this. Wikipedia – which we all understand is not the most reliable source of information in the world – reports that there are well over 40,000 Christian denominations in the world. Each denomination shares the central tenant of faith that Christ is the Son of God – but each express’s it in a sufficiently unique way that each needed to break away – each needed to follow their own interpretation of experiencing God – each could not find the resolution of conflict needed so as to live fully today’s gospel. My own experience of today’s gospel has been challenging to say the least. My journey of faith as a chaplain as placed me in conflict with “head office” as it were - many times. And my advocacy for the equality of LGBTQ people within our community of faith has placed me in conflict with many of my ordained peers who believe I am simply wrong and am living contrary to God’s will. The number of times I have experienced a “virtual exile” from the broader community of faith are too many to mention. The most painful being when friendships and relationships have collapsed under the weight of conflicting views as to what God’s will should be. The most satisfying of faith experiences for me however has been when I have experienced what today’s gospel is all about. The painful – but highly rewarding – process of speaking truth to the conflict – of seeking reconciliation – of searching for and finding the common ground, the divine love which lies beneath the conflict – waiting to be found – but only if each person is willing to search together – for it can only be found when searched for --- together. Maybe this is what Jesus is trying to remind us of today. It seems sometimes – in today’s world – that our human family is all to quick to call it quits when conflict and disagreement arises – we seem more inclined to retreat to opposite corners of the public square – to protest – to sue – to ignore – to dismiss the hurt we do to each other when we disagree and when we choose not to seek reconciliation. This might seem like another over generalization. But then maybe not. In the last issue of the Journal – the national Anglican paper – our Primate shared thoughts regarding our churches drift towards irreconcilable differences regarding the issue of same gender marriage. He reflected that maybe the best we could do as a community of faith is to agree to disagree. That might be acceptable – if it did not require that some LGBTQ Anglican’s in our church would be deprived the sacrament of marriage because others believed it contrary to their beliefs. This is not what Jesus teaches us today. Some of my deepest and most life-giving friendships and relationships are the result of the struggle to work through conflict and disagreement – towards reconciliation. Some of my most powerful experiences of faith have occurred when I have steeled myself – forced myself to acknowledge the discord of conflict and disagreement – and still walk forward to accept communion whilst standing beside my enemy. Seeking reconciliation is hard work. But as we all know – sometimes true life-giving loving is experienced most powerfully when one chooses to work through conflict seeking not necessarily agreement – but harmony. But let’s keep in mind - walking away from one another – while painful – is sometimes the only real solution to staying and searching for healing. And I understand that many times conflict can be so harmful – so abusive – parting forever is the only just thing to do. But if a community of faith is to thrive – Jesus’s teachings today are an essential part of being a community of faith. Last week Paul introduced us to the ideals of faithful loving. Today Jesus reminds us of the hard work such loving often entails. Both are immensely challenging – but as you know – both are truly worth doing.